If you happen to pass by the German town of Hanover this Saturday, better don't get off there. It's derby time and you might run into tens of thousands of football (or soccer for you Americans) fans! As all sports fan will know: Not all games are created equal and some are simply more important than others. Those games may not even be the big championship games, it may also be the game against your local rival and the all important bragging rights until the next time your teams meet. 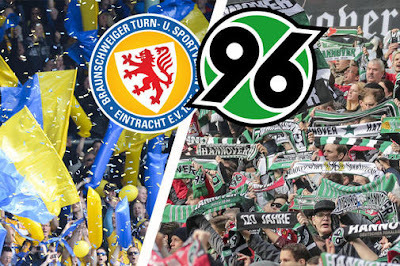 It's no different for this Saturday's match between Hannover 96 and Eintracht Braunschweig - but did you know, that their rivalry is deeply rooted in royal history? Politics, history, religion, geography, class - the reasons for a rivalry can be broad and complex. The southern part of the German state of Lower Saxony around the cities of Hanover and Brunswick is the birthplace of football in Germany. In 1874, it was in Brunswick where the first football match on German soil was played. Four years later, the first football club was founded in Hanover. One of the reasons? The area had rather strong ties to England, where the Kings of Hanover had reigned until 1837 for 123 years. 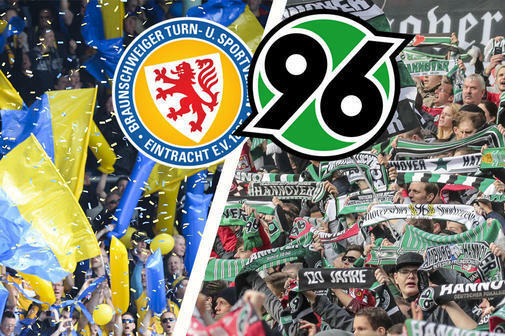 However, the rivalry between the two towns goes back much further - and sometimes even passes the line of good taste: The time before last time the two rivaling clubs from Lower Saxony played each other two years ago, there was literally a sow in street and a dead lamb. But where is this dislike rooted? It's the year 1692, when the Principality of Calenberg-Göttingen - better known by the name of its royal capital, Hanover - was raised to the rank of an electorate putting it above the historically more important town just 55 kilometres away, Brunswick. Both cities and surrounding Principalities, both part of a larger Duchy, were ruled by two branches of the same family, the House of Guelph. The Duchy of Braunschweig-Lüneburg was created in the 13th century. While also including Hanover, it took its name from the two biggest towns of the territory at the time, Brunswick and Lüneburg. A powerful and influential centre of commerce in medieval Germany, Brunswick was also a member of the Hanseatic League from the 13th until the 17th century. While the town's star started to fade during the 17th century, the Hanoverian star began to rise. In 1636, after the redivision of the territories of the House of Guelph after the death of Friedrich Ulrich of Brunswick-Lüneburg, the new Prince of Calenberg, Georg, elected Hanover as his new residence. Just a few decades later, the "Electorate of Brunswick-Lüneburg" with the capital Hanover and already colloquially called "Electorate of Hanover" (as it, depite its name, didn't actually incude Brunswick) was created in 1692. Around 25 years on, the Congress of Vienna had a major impact on European history and the further rise of Hanover. For one the Duchy of Brunswick-Lüneburg ceased to exist. Instead, the Electorate of Brunswick-Lüneburg, called Hanover, became the Kingdom of Hanover. And the Principality of Brunswick-Wolfenbüttel (plus the Principality of Blankenburg) became the Duchy of Brunswick. Both the Kingdom of Hanover and the Duchy of Brunswick continued to be reigned by Guelph rulers. However, the Hanoverian cousins didn't only become King of their own realm after the Congress of Vienna. They also ended up inheriting the British crown a good 100 years later increasing the gap between them and their relatives from Braunschweig. Even after the Kingdom of Hanover was annexed by Prussia, the town became capital of the Prussian province by the same name. While Braunschweig may have remained a Duchy, their size was just a fracture of the size of the Province of Hanover. In 1884, Duke Wilhelm of Brunswick died and with him the last heir of the Brunswick(-Wolfenbüttel) line of the House of Guelph. Naturally, the Duchy would have fallen to the only other surviving branch of the family, the Hanoverian (formerly Calenberg-Göttingen) line. However, Chancellor Otto von Bismarck wasn't in favour of the exiled last Hanoverian Crown Prince becoming Duke of Brunswick and thus they were prevented and the Duchy instead governed by Prussian and Mecklenburgian princes. This changed in 1913, when the last Crown Prince's son, Ernst August, married Viktoria Luise of Prussia, only daughter of the Kaiser. The Crown Prince (a.k.a. The Duke of Cumberland) signed away his rights to the Duchy and thus his son and daughter-in-law became the new Duke and Duchess of Brunswick (until the monarchy was abolished 5 years later). However, while the rivalry in the House of Guelph died out, the one among the inhabitants remained - and so, Brunswick is jokingly called "The Forbidden City" amongst the people of Hanover. On a less royal note, the industrialisation also was a lot kinder on Hanover advancing the town's position in Germany. The final blow to Brunswick's self-confidence came in 1946. After the Second World War the former (royal) states of Hanover and Brunswick along with Oldenburg and Schaumburg-Lippe were united into the future federal state of Lower Saxony. And guess which one of the two largest towns became the capitals? Hanover, of course. Add a few sporting controversies over more recent years and you got yourself a good rivalry, one that dates back way beyond the history of football.